Pho is a must when you get to Ho Chi Minh City! 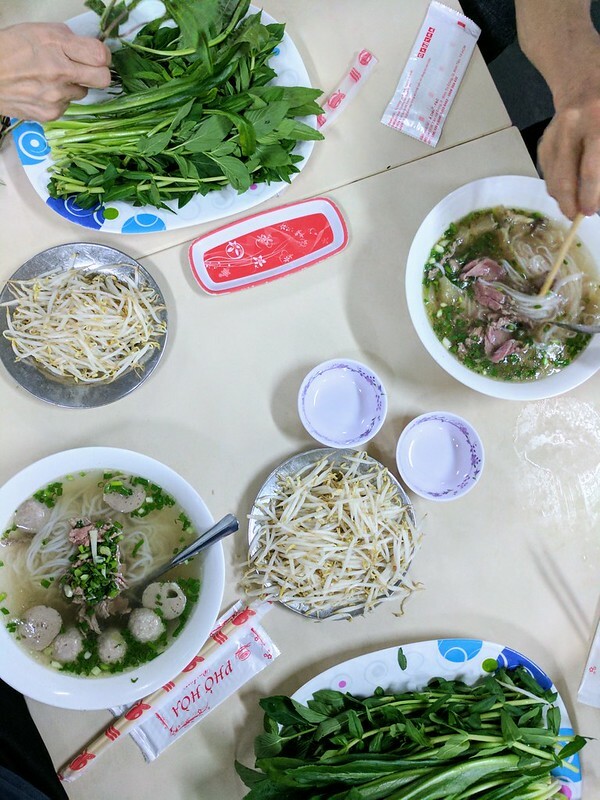 My family took a taxi to Phở Hòa Pasteur, a pho bo vien place in District 3 that was highly recommended by our tour guide. The restaurant has two floors; the first floor was completely packed and the second floor was half-filled when we got there. The menu was posted on the wall, and a bowl of pho here was around 65,000 VND, which was less than $3 USD. I heard you get pho at other places around HCMC for cheaper than that, if you know where to go! 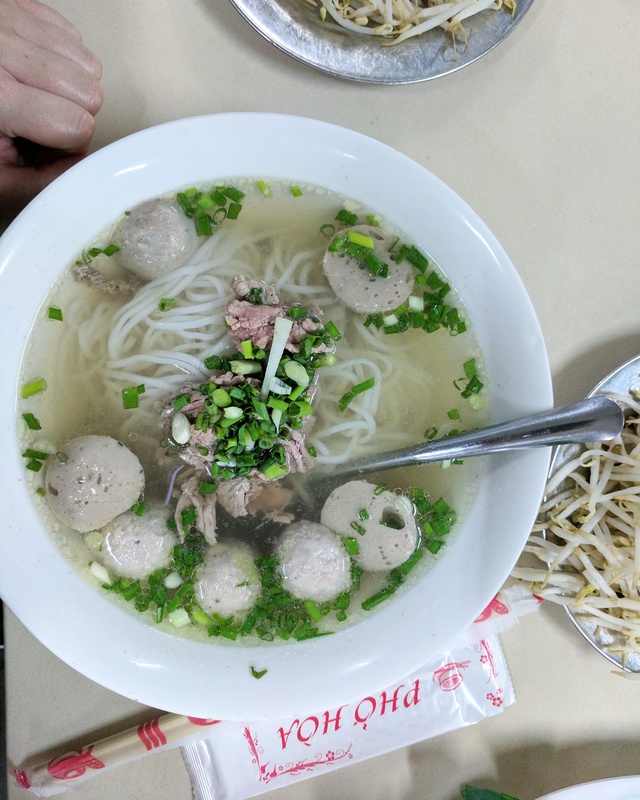 Please drop a comment if you know of any better and/or cheaper pho places in HCMC! The majority of my family ordered pho tai bo vien. 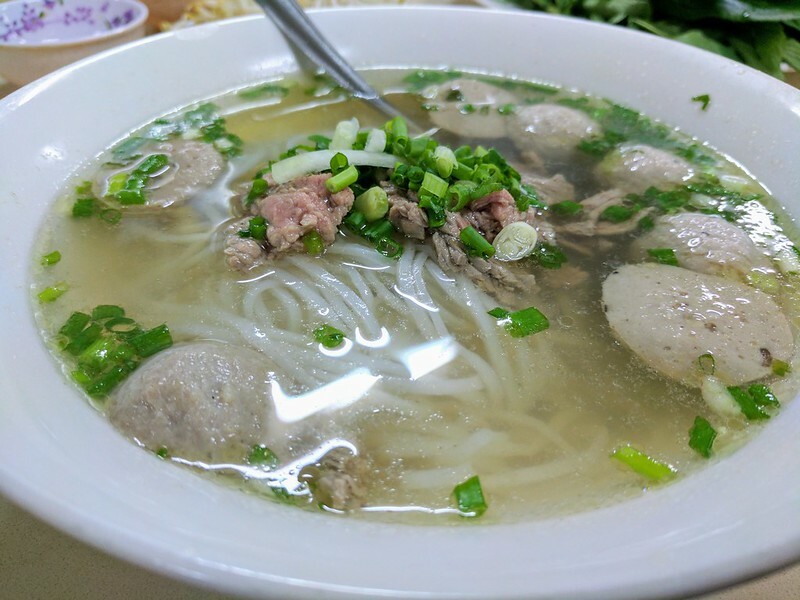 Vietnamese noodle soup (pho) with rare beef (tai) and beef balls (bo vien). The pho was served with lots of fresh bean sprouts, vegetables, and herbs local to the area. The beef balls were really delicious, while the rare beef was chewy. I think the quality of beef in Asia doesn’t compare to the US or Canada, with the exception of Kobe beef in Japan. Next time I’m in HCMC, I’ll only get pho bo vien, if I can. We also had fried egg rolls to go with our meal. 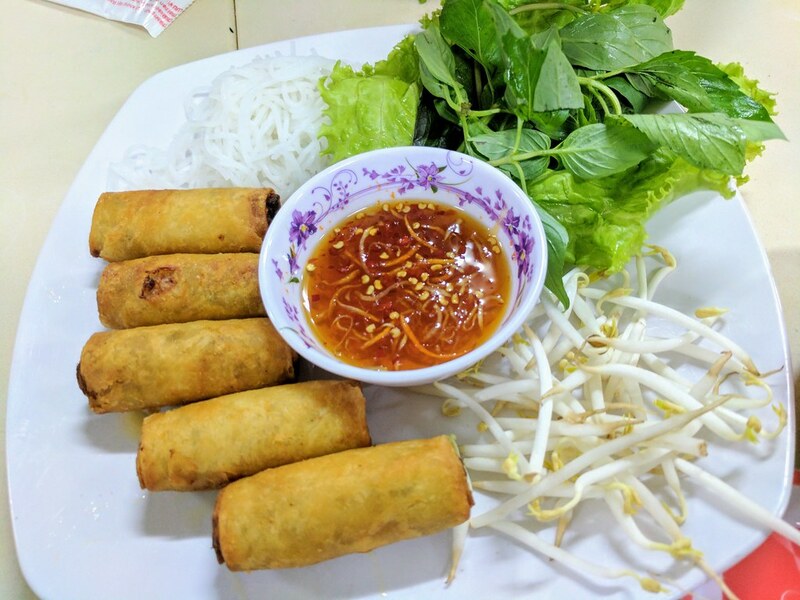 These egg rolls were wrapped with the normal/typical egg roll wrappers, not rice paper. I noticed almost all other tables around us ordered Chinese donut/cruller to go with their pho at this place! We’ve had the Chinese donut paired with soy milk or congee. Even my parents who lived in HCMC before they immigrated to the US, never heard about this paring. Maybe this was a concoction that started after the Vietnam war?